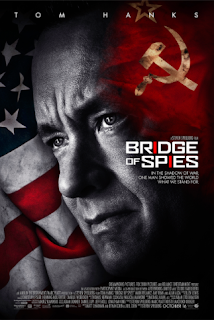 Nowadays one would be hard pressed to find someone who has not heard of the historic role of Cold War attorney James Donovan, the subject of the Steven Spielberg’s six-time Oscar nominated film, Bridge of Spies. One Google search, a subscription to Time, The Wall Street Journal, The New York Times or any other newsfeed provides enough information to fill a term paper or at the very least a few paragraphs of this post. Donovan’s granddaughter Beth Amorosi recalls when that wasn’t always the situation. An untimely death in 1970 of a heart attack at the age of 53 pushed her grandfather’s legacy to the bottom of the history pages, into the footnotes. It wasn’t the first time that Donovan or his book, Strangers on a Bridge had been the subject for a screenplay. In the 60s, MGM bought the film rights and Gregory Peck had been slotted to play the Cold War lawyer. 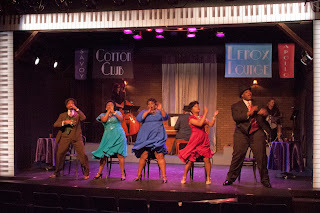 According to Amorosi that is exactly what happened when playwright and screenwriter Matt Charman zeroed in on her grandfather’s story. It sparked his interest on how this person was obviously much more than a footnote in history. 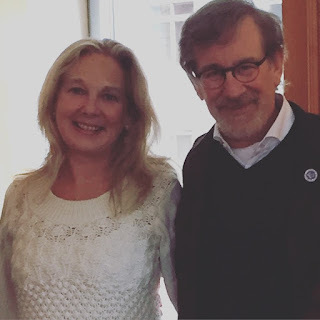 Charman shopped the story around where it landed in the hands of people at Dreamworks and ultimately in the lap of Steven Spielberg. The Donovan Family at their Lake Placid, NY cottage. Donovan’s role in history started well before he was asked to defend the Russian spy, Rudolph Abel. While in the Navy during WWII, he was assigned to the Office of Strategic Services (OSS), predecessor to the Central Intelligence Agency (CIA). As assistant prosecutor to the Nuremberg Trials, Donovan assigned OSS personnel to film the Nazi concentration camp liberations and gather other propaganda to present as evidence during the trial. 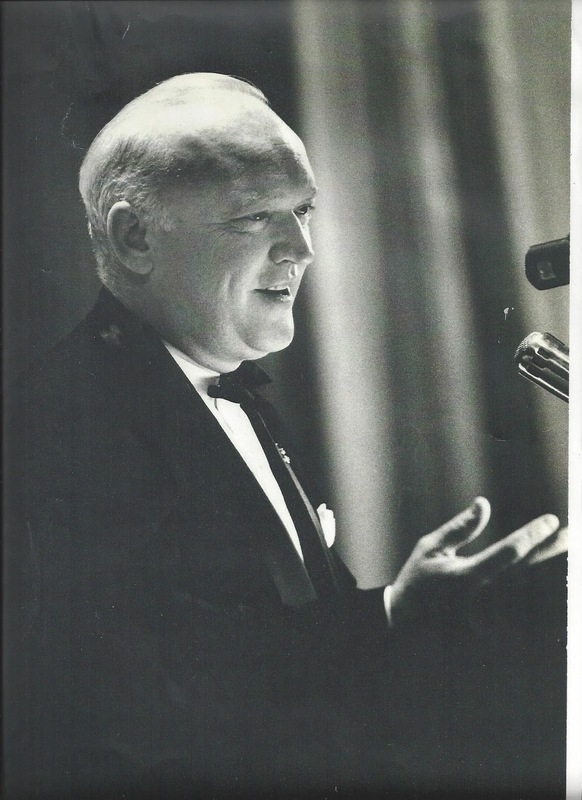 In 1957 his military background and other experiences made Donovan, then practicing insurance law, the perfect choice to defend Col. Rudolph Abel (The Hollow Nickel Case). 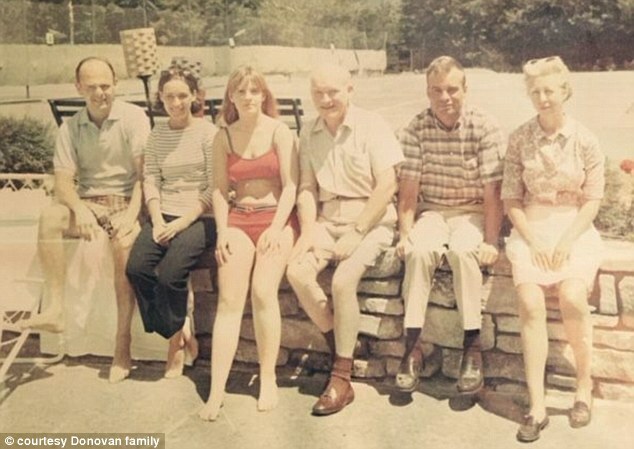 In Donovan’s book, Strangers on a Bridge he reflects on that momentous day when he was relaxing at his family’s Adirondack summer cottage in Lake Placid, NY. A member of his law firm called to say the Brooklyn Bar Association selection committee had chosen him to represent Abel because of a lecture he had given about the Nuremberg Trials. Though discussions turned heated following his Nuremberg lecture, Donovan had remained steadfast and stood up for what he believed. Donovan defended Abel amidst threats to his family and public doubts of his patriotism. He eventually avoided the death penalty for his client by suggesting the future need of a prisoner exchange. In 1962, Donovan was once again called into service to carry out the very type of prisoner swap he had foretold in the Abel trial. He was sent to East Berlin to orchestrate the simultaneous exchange of downed USA pilot Gary Powers for convicted Russian spy Rudolph Abel on the Glienicke Bridge between East and West Germany. Currently the Donovan clan plans to watch the Academy Awards together as a family. 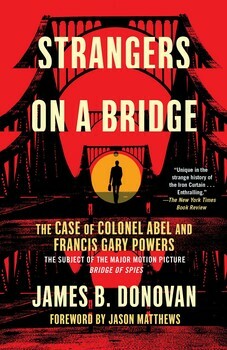 Amorosi encourages people to read Strangers On A Bridge: The Case of Colonel Abel in addition to seeing the movie. She feels the book can help provide a richer, broader context due to a movie’s two-hour time constraint. The DVD for The Bridge of Spies starring Tom Hanks as Donovan, will be released on February 2, 2016. *The Cuban Families Committee selected Donovan to negotiate with Fidel Castro for the freedom of the detainees from the failed “Bay of Pigs." The mission was overseen by Attorney General Robert Kennedy and the CIA with the cooperation of President Kennedy. Donovan negotiated the release of 1,163 of the exile brigade captured at the Bay of Pigs as well as 8,500 political prisoners. In 1962 Donovan received the Distinguished Intelligence Medal from the CIA for his work. ** The irony doesn't escape me that I had to use a footnote to describe Donovan's vast diplomatic experiences. All photos of James B. Donovan are the property of the Donovan family and used with permission. Wow. This is just marvelous. I am Jim Donovan's daughter and Beth Amorosi's aunt. My father's and our whole family's heart and soul is in the Adirondacks. Jim Donovan is buried in lake Placid because these were his happiest moments. He and his brother were camp counselors on lake George several summers in a kid's camp in the 1930's as young men. 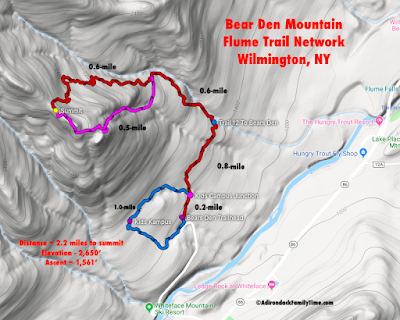 the Adirondacks are so personal--I just love the sound of the wind through the trees...thank you for such a well written article. I'm the son of James Donovan, and this movie has been a wonderful experience for our family and, as I'm learning, a particularly wonderful experience for some people who lived through those dangerous years and believe they shouldn't be forgotten. Beth Amorosi herself is making her mark as someone who is helping assure that this will not happen. John, It was a pleasure to learn more about your father. His book, experiences, and your family has also impacted a younger generation. There are always discussions around our dinner table about "doing what is right isn't always popular and what is popular isn't always right." Your father certainly made his choices on what was right. Thank you for sharing his life and experiences with the world. Thank you for your kind words. Your father's story is so important and you all worked so hard to make sure that it be told. I find that his book, movie and life in general has opened up conversations between my teenage son and his friends. James Donovan is a reminder that good choices are not always easy ones. The Adirondacks has been a special place for my family as well. I wish you and your family the very best!